The transition to college can involve academic, social, and financial challenges, but the Office of Student Success and our campus partners are here to help. See the programs and offices below for assistance! 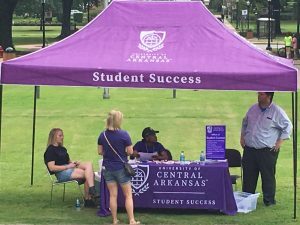 DURING your first year, be sure to check out all that the Office of Student Success offers, as well as all of the services in our UCA Student Support Guide!